// off a go routine to setup a serving http.Server for each. // each addr passed in and does protocol specific checking. // NewRouter returns a new router instance. // This will send all incoming requests to the router. // Configurable Handler to be used when no route matches. // Parent route, if this is a subrouter. // Routes to be matched, in order. // Routes by name for URL building. // See Router.StrictSlash(). This defines the flag for new routes. 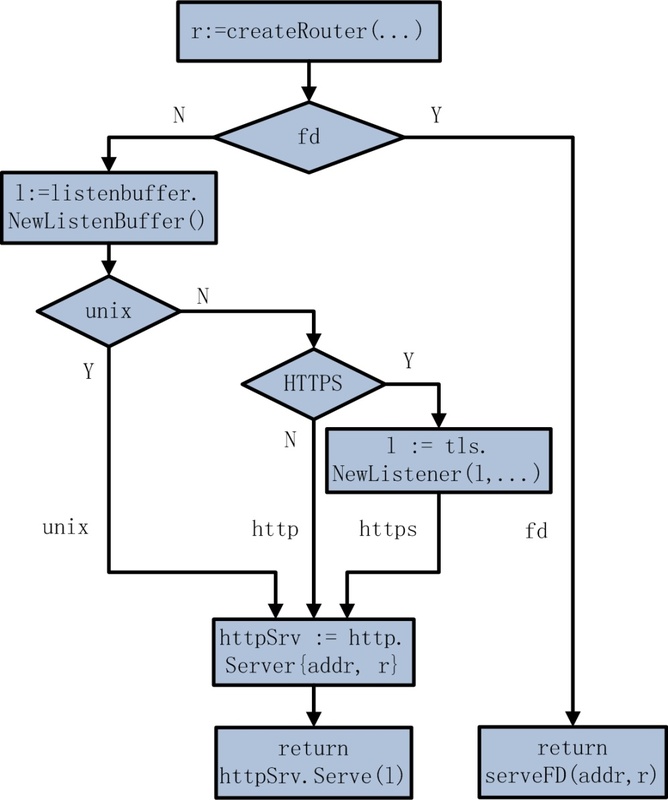 // NewListenBuffer returns a listener listening on addr with the protocol.